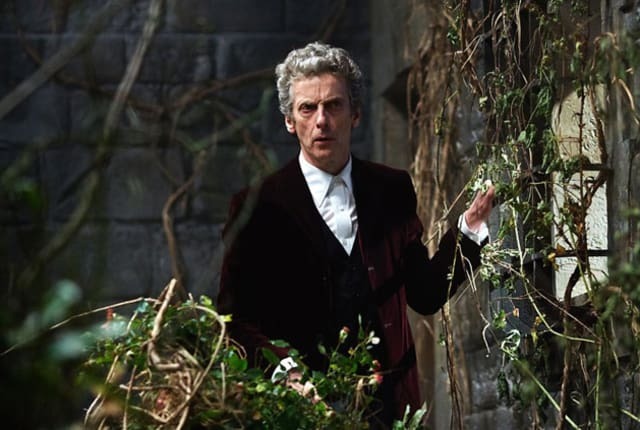 The Doctor faces one of his greatest challenges all by his lonesome on Doctor Who Season 9 Episode 11. Will he escape this strange world and the creature that hunts him? Is Gallifrey waiting on the other side? When you watch Doctor Who Season 9 Episode 11 online, the Doctor finds himself trapped in a castle that changes configuration like a puzzle box. With nowhere to run and no way out, he is also pursued relentlessly by an untiring creature called the Veil, which will kill him if it catches him. All alone, he must follow a chain of ominous clues to discover the way out of this nightmarish prison. He turns to a mental figment of the lately-deceased Clara Oswald for companionship, to provide him advice and and audience to explain things to when there is no one around but him. Each clue leads to another obstacle, seemingly more impassable than the previous, but the true horrifying nature of his predicament has yet to be revealed. Will the Doctor ever escape from his puzzle box prison, or will he be trapped there forever? Or will he make a deadly mistake and get caught by the Veil, thus ending his long life permanently? And what is that under the water surrounding the castle? Find out what happens to the Doctor when you watch the epic penultimate episode of the season, Doctor Who Season 9 Episode 11, online! And I'm gonna explain to you how I survived. I can't wait to hear what I said. [breaks the fourth wall, glancing at the camera] I'm nothing without an audience! If you think because she is dead, I am weak, you understand very little. If you had any part in killing her, and you are not afraid, then you understand nothing at all. So for your sake, understand this -- I am the Doctor, and I'm coming to find you. And I will never, ever stop. Permalink: I am the Doctor, and I'm coming to find you. And I will never, ever stop.